BCG’s research with 20 of Australia’s largest organisations finds that although companies are investing significantly to achieve gender diversity, progress in corporate Australia remains slow. In 2016 the gender gap at the top continued to widen with women constituting only 5% of CEOs at Australia’s largest public companies. Our research provides insight into how gender and seniority affect the perception of gender diversity and which areas require the greatest effort. The report also provides a snapshot of what is working for employees and outlines opportunities for CEOs to consider in order to increase gender diversity in their organisations. BCG’s research with 20 of Australia’s largest organisations finds that although companies are investing significantly to achieve gender diversity, progress in corporate Australia remains slow. Our research reveals that companies are at a critical point on the path to gender diversity. Companies are investing significantly to achieve gender diversity, however progress in corporate Australia remains slow. Despite pressure to ‘tick the box’ on diversity enablers, many companies find it challenging to measure which initiatives are most effective in driving change. In particular, our research highlights the biggest obstacles to progress and the levers that work best to overcome them. Challenges in retaining and promoting high-potential women are consistently cited as the largest impediments to progress – yet these are accorded some of the lowest shares of diversity effort. We examine how best-in-class companies are tackling these challenges by applying the interventions shown to be most effective - in particular by increasing the viability of flexible work models, engaging men and middle managers as diversity champions, and bringing rigour, discipline and measurement to the company’s gender diversity strategy. 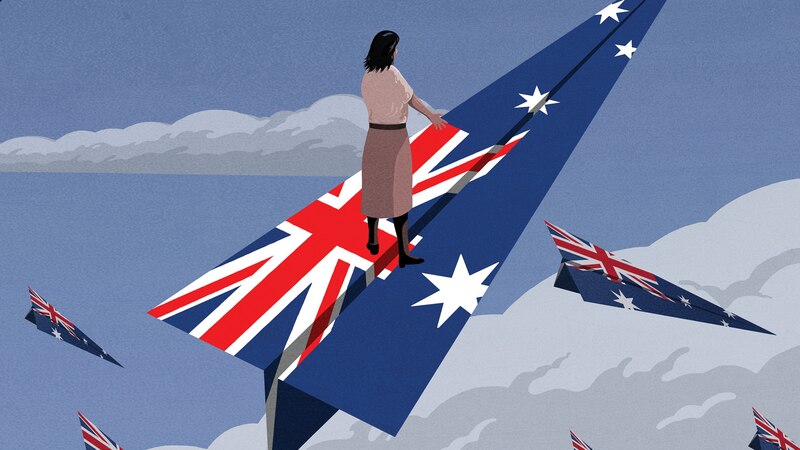 Report authors Anna Green, Sydney Partner and Asia-Pacific Leader of BCG’s Women@BCG initiative, and Michaela Alhadeff, Sydney Project Leader, explain the obstacles to and opportunities for Australian companies to tangibly increase the number of women in leadership roles. Despite significant focus, attention, and investment, progress toward gender-diverse leadership at the higher levels of Australian companies remains variable and slow. In 2016, the gender gap continued to widen with seniority: women constituted only 5% of CEOs at Australia’s largest 200 public companies. Men and senior managers tend to have an overly positive view of the true state of gender diversity in their organisations and of the challenges that persist. Men also show greater reluctance to redistribute work across the team to enable part-time working. Our research shows that when it comes to gender diversity in leadership, the scale and scope of the challenge is perceived differently depending on gender and seniority. Almost two-thirds of women see retention and advancement as hurdles at their companies. Yet advancement and retention challenges are typically accorded some of the lowest share of diversity effort. Organisations, which focus on addressing the needs of women already in their pre-executive ranks, tend to reduce the engagement gap between female and male leaders that is seen in many companies today.